Tottenham have won 6 of their last 7 in the Premier League, with only their shock 3-1 defeat at home to Wolves stemming the flow. Manchester United travel to Wembley Stadium enjoying a sequence of five wins in all competitions under new manager Ole Gunnar Solskjaer, although none of those games have been against teams from the current Premier League top 10. Are you placing a bet on this clash? 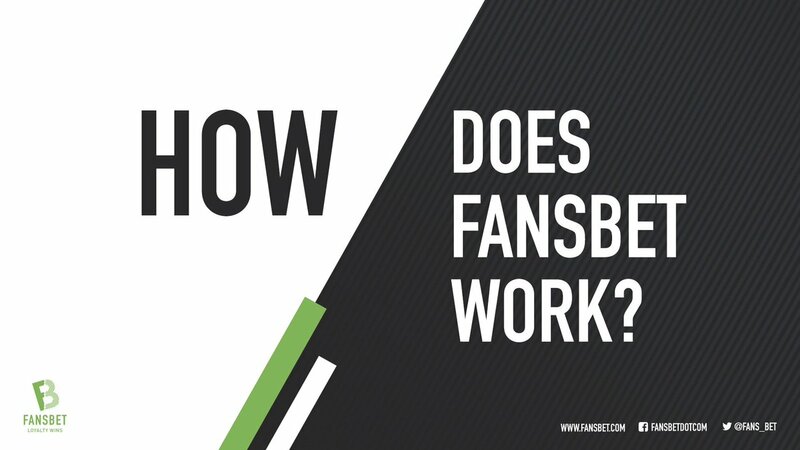 Do it with FansBet! If you lose, you get your money back... up to £10! All of you who haven’t already joined Fansbet can do so and claim the risk-free bet! 2) Bet £10 or more on the match result market (1X2) of Spurs vs Man UTD. 3) Receive a free bet up to £10 if your first bet doesn't win. 4) Refunds are issued January 14, 12:00 UK-Time. The are no wagering requirements on the free bet. 1. 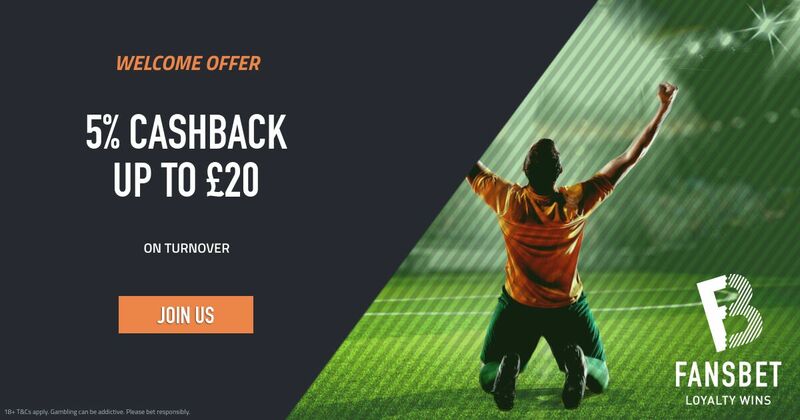 Sign up and bet £10 or more on the match result (1X2) in Tottenham v Manchester United on Sunday. 2. Qualifying Market: 1X2. Pre-match only. 3. Qualifying Stake: £10 or more. 5. Deadline: January 13, 16:30. 6. If you don’t win, £10 will be refunded January 14, 12:00. No wagering. 8. The qualifying bet must be placed with real money. 9. Only players who signed up after January 8, 2019, are eligible. 11. General bonus terms apply. 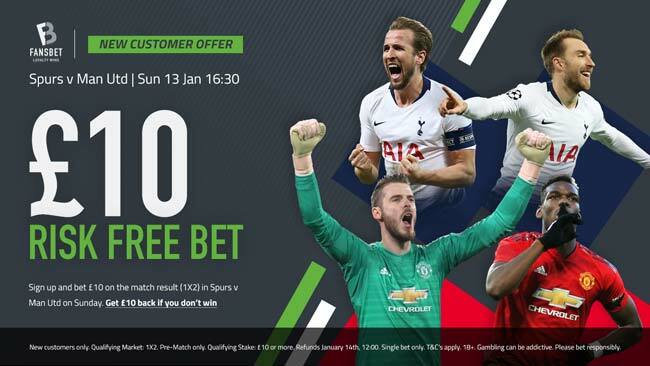 "Spurs vs Man UTD £10 Risk-Free Bet With FansBet"